Learn more about the SEMA High School Vehicle Build Program at www.sema.org/student-builds. Five high school auto-shop programs across the nation will each upgrade a Jeep Wrangler TJ. 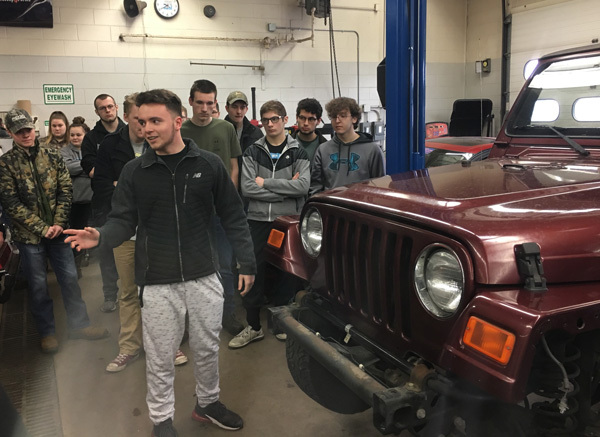 SEMA has partnered with five high school auto-shop programs across the nation to upgrade five Jeep Wrangler TJs in an effort to introduce students to automotive customization. This program provides a hands-on, interactive learning experience with aftermarket products and directly connects aftermarket companies with high school instructors and students. The following companies have raised their hands to support the program, the students and the instructors to promote youth engagement, customization skills and the automotive lifestyle. Learn more about the SEMA High School Vehicle Build Program, the partnering high schools and follow the progress of their builds on the program’s website www.sema.org/student-builds. Companies can support the program through product donations, product demonstrations and scheduled visits to the schools. To participate, please fill out the Build Partnership form or contact Katie Hurst.